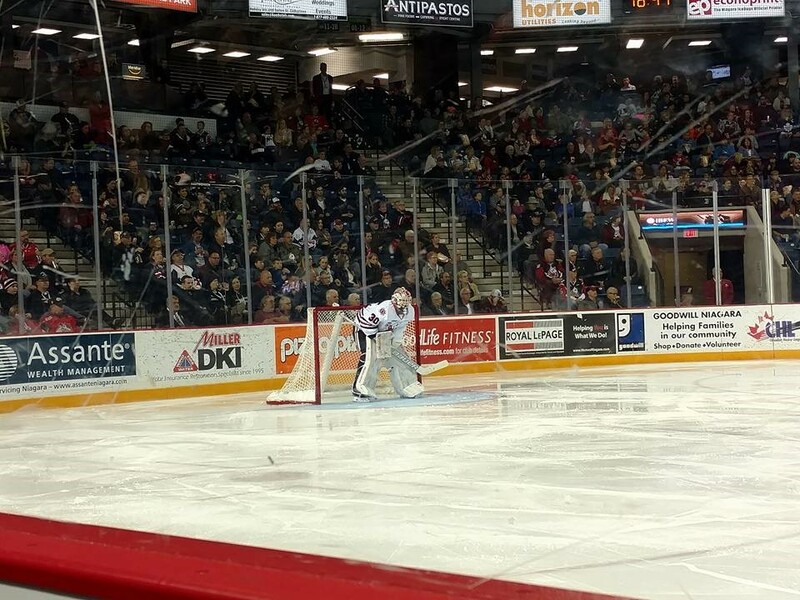 We were up in St. Catharines last night to see WNY native and JSG gradute Stephen Dhillon and the Niagara Ice Dogs take on the Sudbury Wolves. 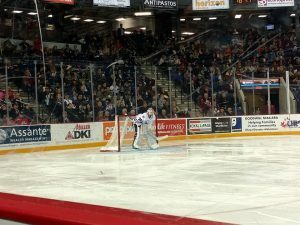 The first period didn’t provide much action down at Dhillon’s end, only facing five shots in the first twenty while his teammates pumped seventeen on net down at the other end. Sudbury would come out strong in the second, turning the tables on the ice dogs early and scoring the first of the game. From there on out Dhillon and the ‘Dogs tightened up and put the hammer down. A chippy game the rest of the way, the Ice Dogs were able to tie things up before heading into the final frame. After taking the lead, and adding some insurance, the Ice Dogs came away with a big two points in the standings. And it was a huge performance from Dhillon. After a boring first period, Sudbury wired 27 shots on net in the next two and Dhillon stood strong finishing the night with 31. Great game and good luck the rest of the way! !